This handy desktop easel with drawer makes an ideal compact workstation for all artists and calligraphers. 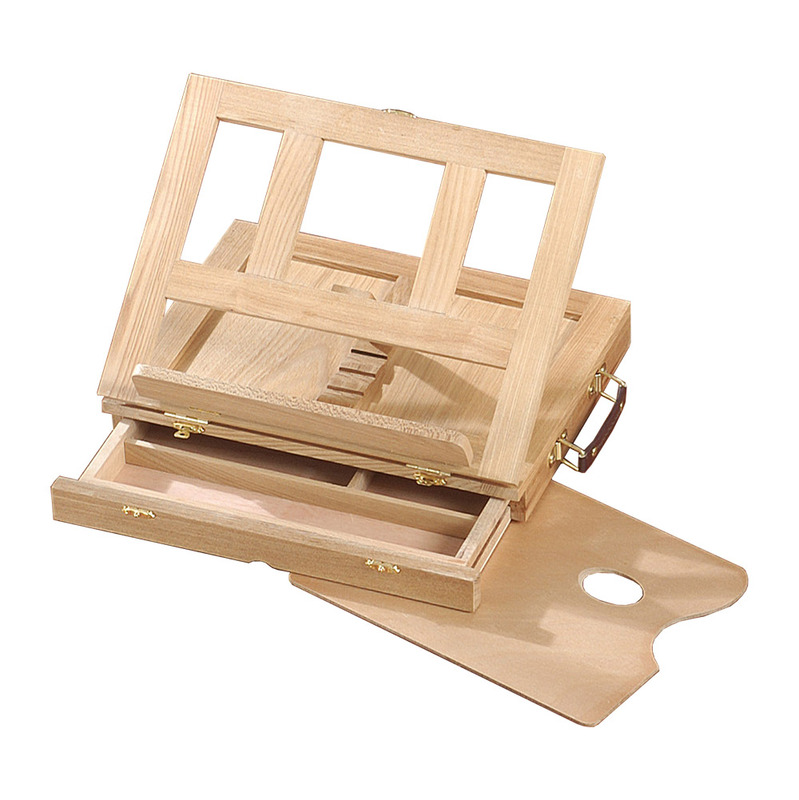 The easel is made from seasoned elm wood with brass coloured hardware. The easel can accommodate canvases up to 9.6" (24.5cm) in height.